A genetic therapy for “bubble boy” disease completes a 27-year journey. 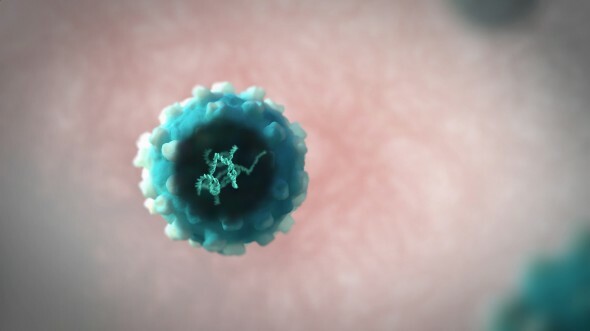 A treatment now pending approval in Europe will be the first commercial gene therapy to provide an outright cure for a deadly disease. The treatment is a landmark for gene-replacement technology, an idea that’s struggled for three decades to prove itself safe and practical. Called Strimvelis, and owned by drug giant GlaxoSmithKline, the treatment is for severe combined immune deficiency, a rare disease that leaves newborns with almost no defense against viruses, bacteria, or fungi and is often called “bubble boy” disease after an American child whose short life inside a protective plastic shield was described in a 1976 movie. The treatment is different than any that’s come before because it appears to be an outright cure carried out through a genetic repair. The therapy was tested on 18 children, the first of them 15 years ago. All are still alive. “I would be hesitant to call it a cure, although there’s no reason to think it won’t last,” says Sven Kili, the executive who heads gene-therapy development at GSK. The British drug giant licensed the treatment in 2010 from the San Raffaele Telethon Institute for Gene Therapy, in Milan, Italy, where it was developed and first tested on children. On April 1, European advisers recommended that Strimvelis be allowed on the market and if, as expected, GSK wins formal authorization it can start selling the drug in 27 European countries. GSK plans to seek U.S. marketing approval next year.